The latest headlines in the real estate housing market are optimistic. 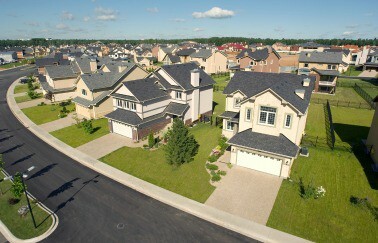 Although new home sales didn’t quite meet predicted expectations, the housing market is still healthy. Analysts are confident another housing bubble is not on the horizon. Restoring a historic home is an exciting undertaking for buyers, and here’s what they need to know before they get started. Real estate agents who aren’t using Snapchat—and that is most of them—need to jump on the bandwagon to take advantage of potential opportunities. These stories and more make up this week’s real estate news round-up! Although home purchases fell a bit shy of forecasts, Americans bought new homes in January after a steep decline from the previous month. Experts point toward a housing market that remains healthy, despite higher mortgage rates. Are you using Snapchat? If you are like most real estate agents, the answer is “no.” A relative newcomer to the social media landscape, Snapchat recorded an average of 158 million daily active users in the last quarter of 2016. Although the majority of users are Millennials, there is still a lot of potential opportunity for reaching prospective clients that is largely going untapped. The home’s appraisal value is less than the offer; now what? It can take months for buyers to find the right home. But what happens when the offer is written up—but the house doesn’t appraise for the value of the purchase price? Here are some tips for your buyers so you can still see the deal through to the end. With home prices that continue to rise, it might seem as though another housing bubble is on the horizon. Experts don’t believe so, however; find out why they are still optimistic about the future of the U.S real estate market. Have your buyers fallen in love with a historic home? Are they talking about returning it to its previous glory? There are some things buyers of historic homes need to know before they want to make any structural changes. Start a successful career in real estate. We have all the information you need about real estate pre-licensing courses at Real Estate Express. Find out more here.